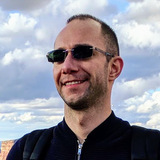 Radu is a software development manager at AWS. Over the past 5 years, he has worked to deliver compute and data protection platforms that enable low-latency, cost-effective, and trusted offerings for Amazon’s customers. He is now part of the team that owns Firecracker, an open source virtualization technology that is purpose-built for creating and managing secure, multi-tenant container and function-based services that provide serverless operational models. Firecracker runs workloads in lightweight virtual machines, called microVMs, which combine the security and isolation properties provided by hardware virtualization technology with the speed and flexibility of containers. It already powers AWS Lambda and AWS Fargate, and is being integrated with compute stacks such as Kubernetes (via Kata Containers and containerd). He’s available per email if you want to get in touch.